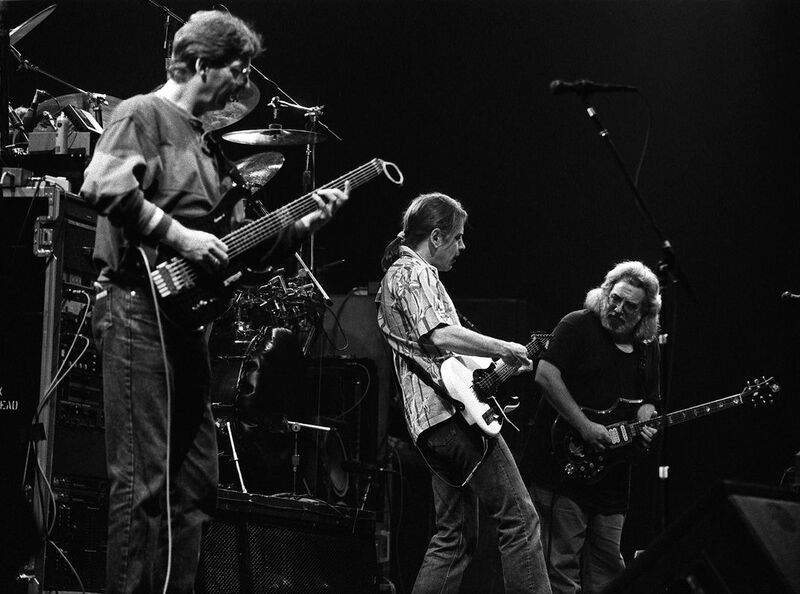 Grateful Dead in concert at Greensboro Coliseum, NC on 3/30/89. Phil Lesh (left), Bob Weir (center) and Jerry Garcia (right) of the Grateful Dead in concert. Date Uploaded: Nov. 30, 2016, 4:13 p.m.